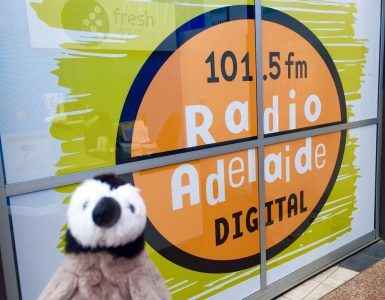 We began in Adelaide, where I did an interview with Cath Kenneally of Arts Breakfast on Radio Adelaide the morning after arriving in the country. 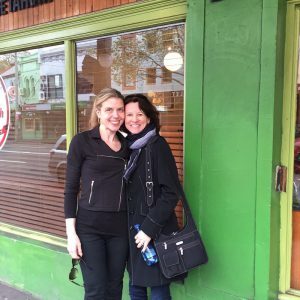 You can listen to the interview here (I was a teeny bit jet-lagged; it took me a couple of seconds to realize we were on the air…). Post-interview was a great day for wandering around town. Adelaide is a beautiful city, a university town with two gorgeous museums near the University of Adelaide. 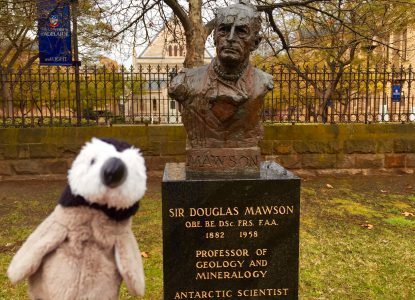 We saw this bust of Antarctica explorer Sir Douglas Mawson, as well as an exhibit about his adventures in the South Australian Museum. 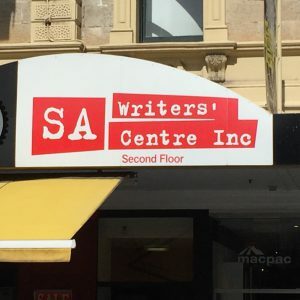 The next day, John and I taught a marketing workshop at the SA Writers Centre, an all-day affair with writers from myriad genres. Adelaide has a great many pubs and restaurants, so that was a perfect way to end the day. 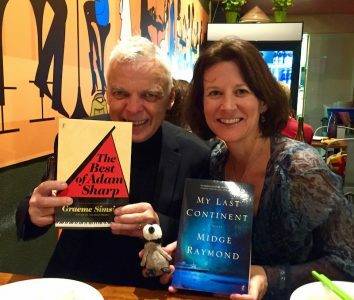 Onward to Melbourne, where John, Admiral Byrd, and I spent several days enjoying the city, signing books, and meeting fabulous people, including my wonderful publishing team at Text Publishing and the lovely and talented writers Graeme Simsion and Anne Buist. 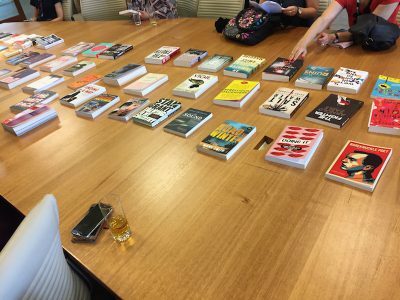 Graeme’s new novel, The Best of Adam Sharp, has just launched in Australia, and Anne’s second psychological thriller, Dangerous to Know, was released earlier this year. Anne and Graeme are currently writing a novel together: Left Right, a romantic comedy set on the Camino de Santiago, is forthcoming from Text Publishing in 2017. While in Melbourne, I visited many fabulous bookstores (there will be many Bookstore Geek posts forthcoming!) 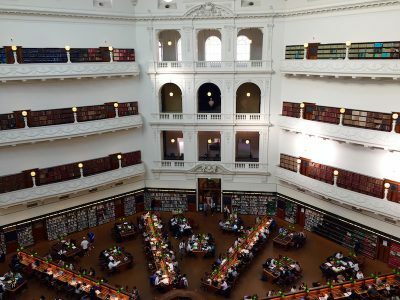 and especially enjoyed seeing the majestic State Library of Victoria. 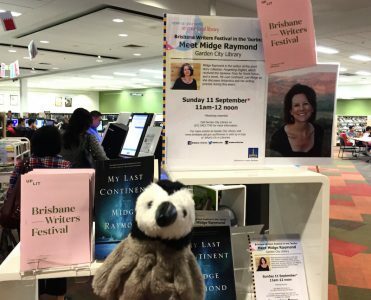 After three events onsite at the magnificent State Library of Queensland, my last event in Brisbane was BWF in the ‘Burbs, a conversation about My Last Continent at the Garden City Library about twenty minutes outside the city. 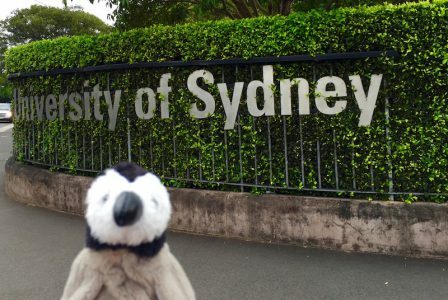 Finally, it was onward to Sydney, where John, Sascha Morrell, and I presented a seminar on Writing About Animals at the University of Sydney. 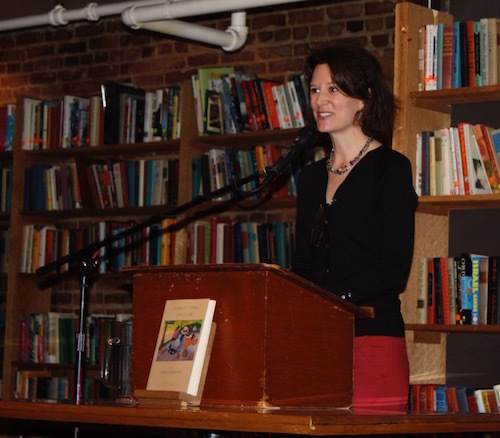 It was the perfect place to soft-launch Among Animals 2, and best of all we got to meet Sascha, AA2 contributor and university professor, who read from her haunting story “Roo,” which appears in the anthology. Learn more about Among Animals 2 here at Ashland Creek Press. I’m delighted to have a short essay appearing in the brand-new issue of Zoomorphic, a beautiful online magazine dedicated to writing that deepens our connection with wildlife and the more-than-human world. 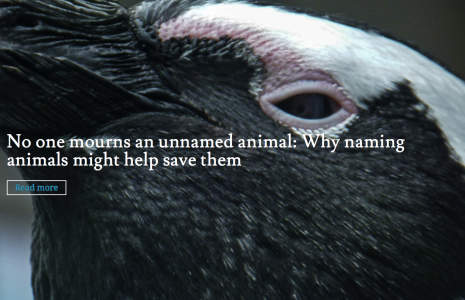 A brief preview: the story involves penguins. Check out the new issue here, and you can also explore previous issues for more essays, poetry, and art about the animals we share our planet with. 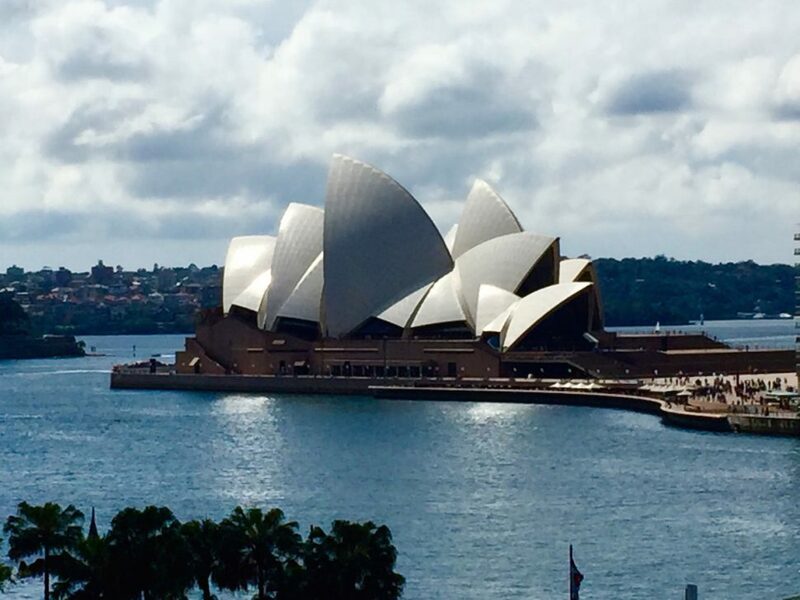 I’m delighted to be heading to Australia this week, where I’ll be doing a series of events around the country. 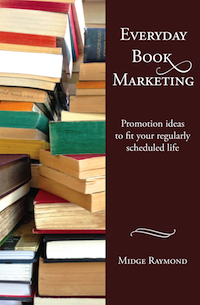 On September 4 in Adelaide, I’ll be teaching a workshop with John Yunker on book marketing. 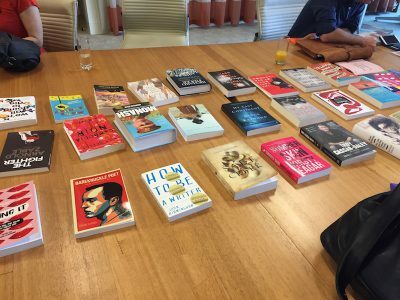 The workshop includes a copy of Everyday Book Marketing, and all participants will leave the workshop with a customized marketing plan, as well as with ideas for creative book promotions, from book trailers to special events, and for affordable and effective promotional items. 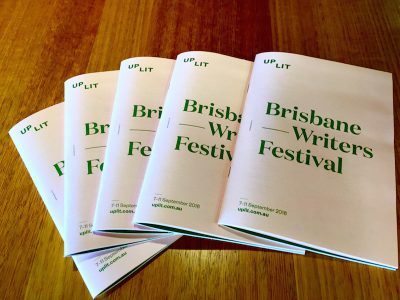 From September 7 to 11, I’ll be joining other artists at the wonderful Brisbane Writers Festival, where I’ll be doing several events, including a master class and a conversation with Joy Lawn about My Last Continent. Learn more here. Finally, join me, John Yunker, and Sascha Morrell on September 13 at the University of Sydney for Writing About Animals, a seminar that examines the role literature and language plays in reimagining our relationship with animals. 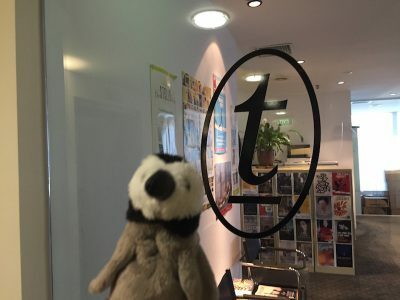 Combined with readings, this seminar will offer insights into the ways in which twenty-first century animal literature can enlighten as well as entertain. Click here for more info. 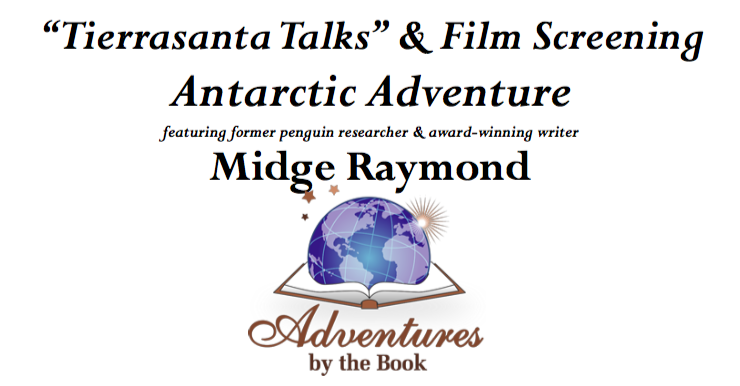 Admiral Byrd will, of course, be joining me for all events. It was such a pleasure to have the privilege of presenting My Last Continent at the Women’s Museum of California as part of its Second Sunday Author Series: Women’s Voices, Women’s Stories program. 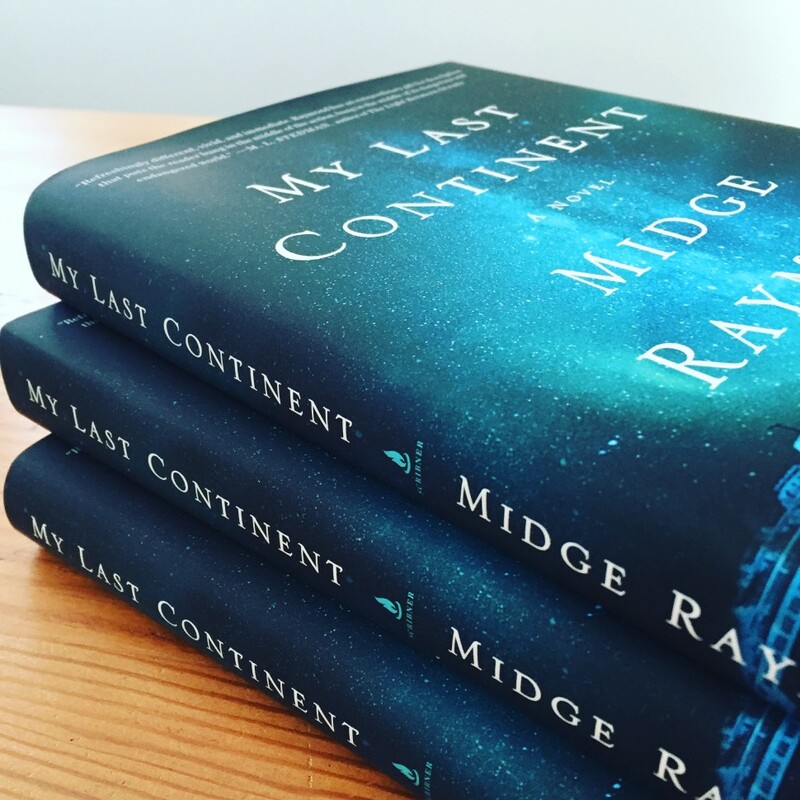 Although the narrator of My Last Continent is a female penguin researcher, women are relatively new to Antarctica — the first woman to set foot on the continent didn’t do so in 1935. It took a long time for women to become part of Antarctic research and exploration in their own right. The first woman to land on Antarctica, mentioned above, was the wife of a whaling captain. The first women to winter on the continent, in 1947, were the wives of expedition members. And even the first woman to work for the U.S. Antarctic Program, during the 1969-70 season, was there with her husband. Yet by 1974, the U.S. base McMurdo Station welcomed the first female chief scientist, and now one-third of the scientists and support staff at McMurdo are women. We still have a long way to go, but it’s great to see this trend. And this year has seen an increasing spotlight on women working in Antarctica. And, as part of an initiative to bring women scientists together, a women-only expedition to Antarctica will depart for the continent this December. In addition to science, tourism brings many women scientists, researchers, and naturalists to Antarctica as well. For some fantastic reading about women in Antarctica, check out the short story “Sur” by Ursula K. LeGuin…one of my favorite short stories ever, and a brilliant glimpse, albeit fictional, into women’s lives in the Antarctic. 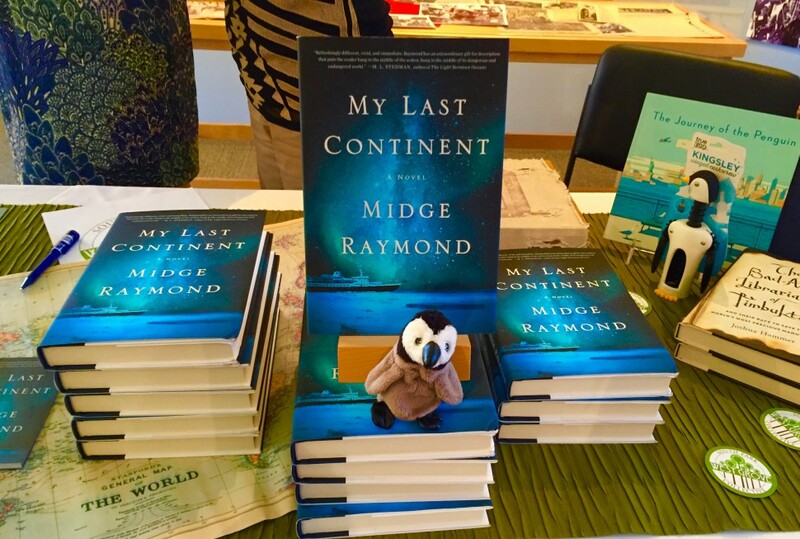 I was delighted to celebrate My Last Continent‘s book launch in my former hometown of Boston, where I was able to do a brief “Facebook Live” reading from Antarctic explorer Admiral Richard Byrd’s former home on Beacon Hill before an event at one of Boston’s most wonderful treasures, Papercuts J.P.
Kate and Katie (Kate Layte, owner and manager, and Katie Eelman, media and events coordinator) are such wonderful hosts; this event (and most events here at Papercuts J.P.) are more like parties than book readings. The store is cozy, and Kate and Katie often match up writers for a more in-depth exploration of books, theme, and genre. 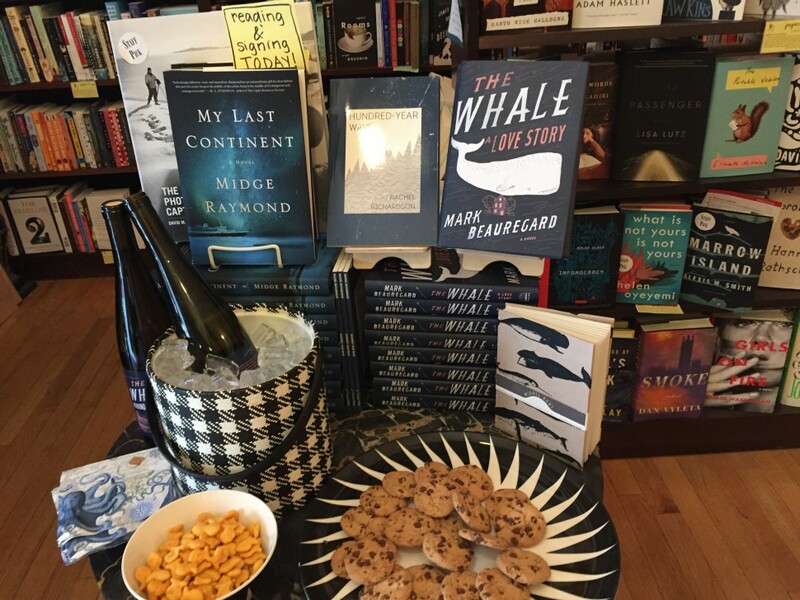 At this event, I joined novelist Mark Beauregard (The Whale: A love story) and Rachel Richardson (Hundred-Year Wave) for readings and a discussion of love, the high seas, research, writing, and so much more. And perhaps most celebratory of all, on the day of our event, copies of The Papercuts Anthology: What Happened Here, Volume 1 arrived. 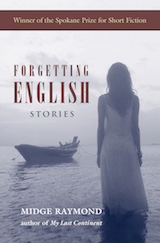 This terrific anthology features work by writers who visited the store during Papercuts’ first year, including Abigail Thomas, Edan Lepucki, Randy Susan Meyers, Chris Hedges, and many more. 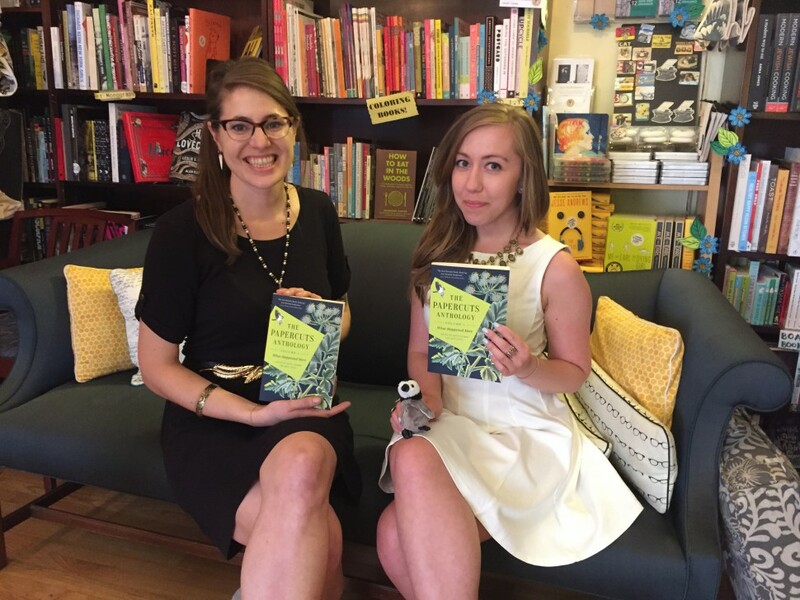 It’s obvious from the nature of our High Seas event and the beautifully edited and designed anthology that both Kate and Katie have a passion for books and a talent for curating them. 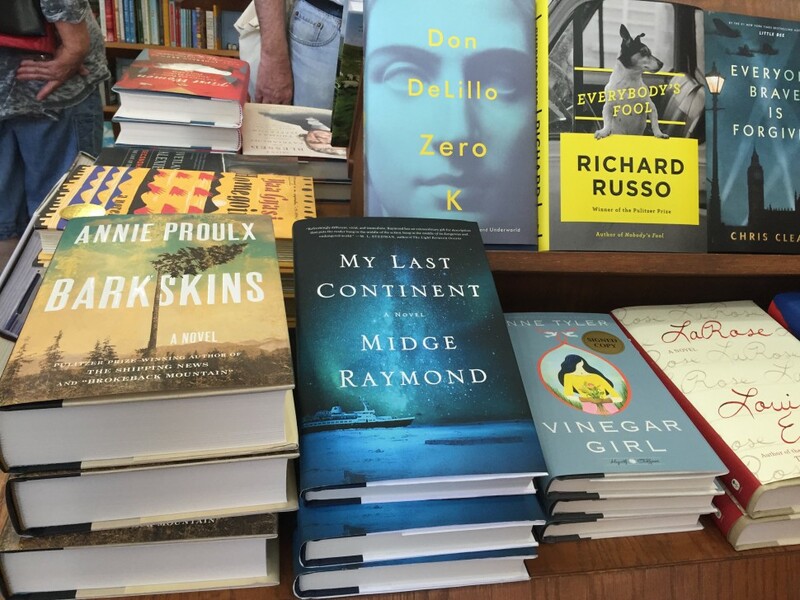 And, much to my delight, they enjoyed My Last Continent, which later made their list of bestsellers. 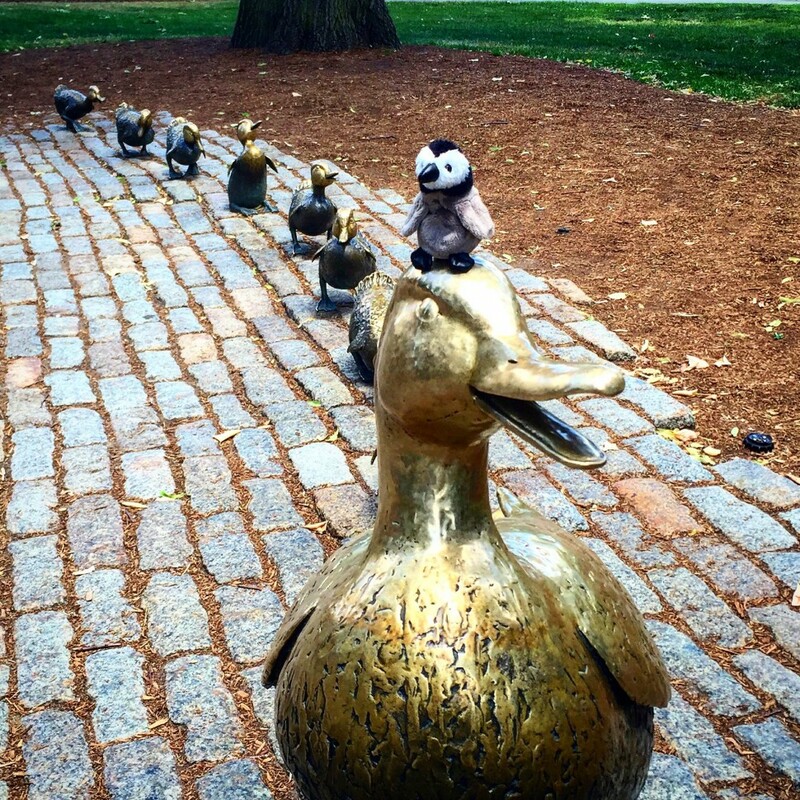 The next time you’re in Boston, don’t miss “this tiny Boston icon,” as The Guardian calls it. 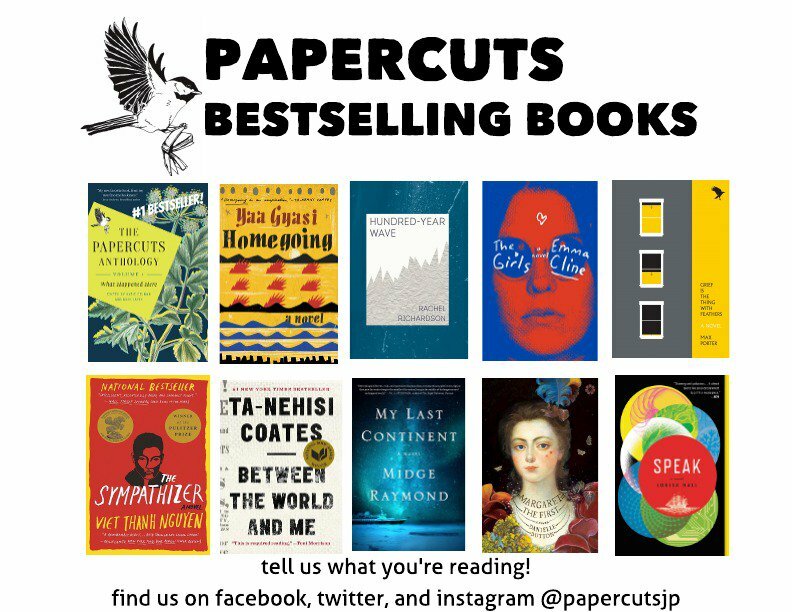 In the meantime, follow Papercuts J.P. on Twitter, Facebook, and Instagram. I recently came across this NYT article about tracking one’s time, and it’s genius for all of us writers out there who never feel as though we have enough time to write. 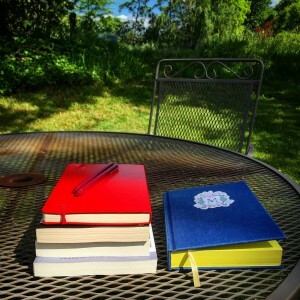 As I read this Q&A about how author and time management expert Laura Vanderkam tracked her time (down to the half-hour), I was inspired to find more time in my own schedule — for writing. Her point is not to obsessively track every single moment of every day (“If I ran on the treadmill for 27 minutes and spent three going upstairs and getting water, I’m calling that 30 minutes of exercise,” Vanderkam says) but to figure out how your life sketches out on a daily basis and whether you are happy with how you’re spending your time. We all have things we know we could skip doing in order to write, and this article (and the simple spreadsheet that Vanderkam used to track her time) came across my screen at just the right time. 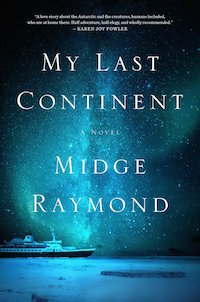 I’m just past the My Last Continent book launch but still have months of events to go — and one thing I’m wondering is whether I can start tipping the scales from promotion to new writing. I’m still writing articles and doing interviews and spending much more time on social media than I’m used to…but taking a close look at my schedule, hour by hour, has shown me that I can gain writing time without losing promotion time. What I’m into right now is “found time,” which I see as similar to the artwork based on found objects — with art, it’s turning discarded or lost things into works of art; with time, it’s turning little moments into treasures by making the most of them. To offer one example: Currently, the moments after which my cat wakes me for no apparent reason at 3 a.m. have become the most creative moments of my day. I have a notebook by the bed, and in the past couple of weeks I’ve been working (in this notebook, in the middle of the night) on a new short story and a new novel. Next, of course, I need to set aside some time to flesh out all these ideas — but thanks to making the most of this found time, I’m inspired to do just that. And the more we become everyday writers, the more time we’ll end up making in our schedules to follow up on the ideas discovered in these seemingly idle moments. 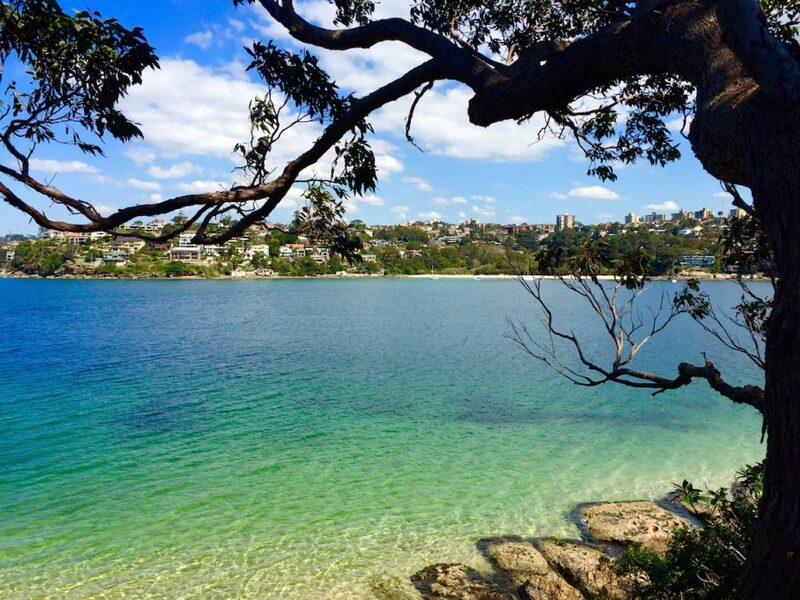 One thing we all have to remember as writers is that downtime is a good thing. As Vanderkam says in the article, “There’s nothing wrong with sitting on the porch drinking a glass of wine and staring at the trees.” This is especially true for writers, for whom staring into the distance (and drinking wine) can lead to our most productive work. We need time to think before we make time to type or scrawl. 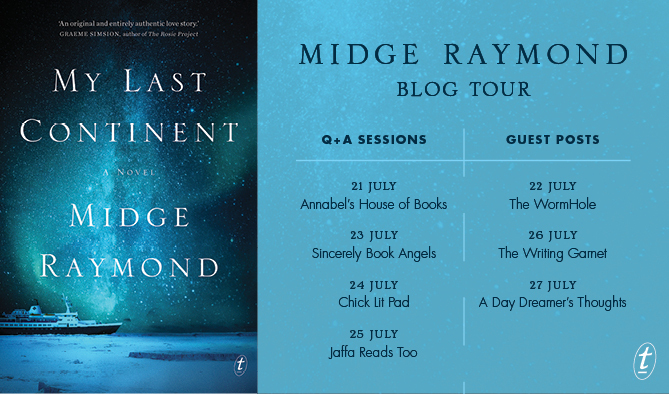 I am delighted that My Last Continent has just launched in the United Kingdom, and while it would’ve been fantastic to do an in-person tour of the UK, I loved doing this week-long blog tour, which was the next best thing…and tons of fun. 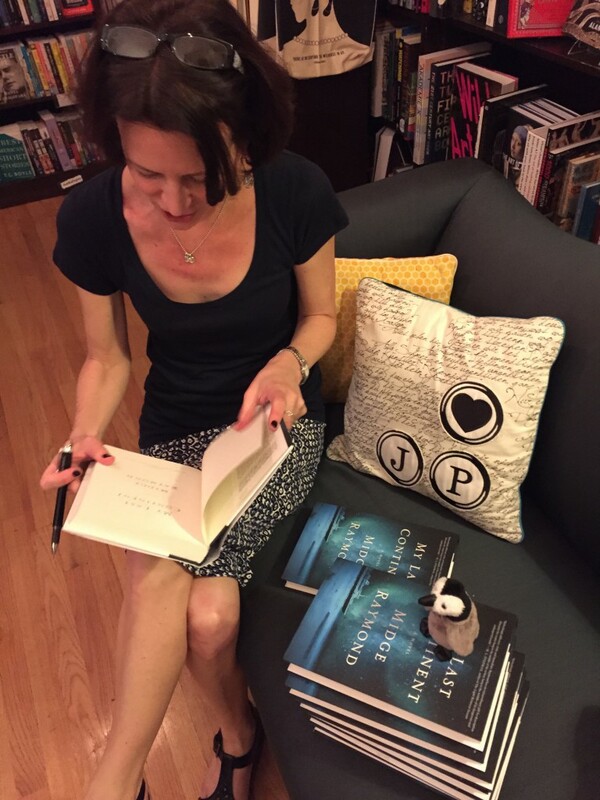 I got to chat about My Last Continent, Antarctica, penguins, and so much more — and I got some terrific questions and enthusiastic reviews. 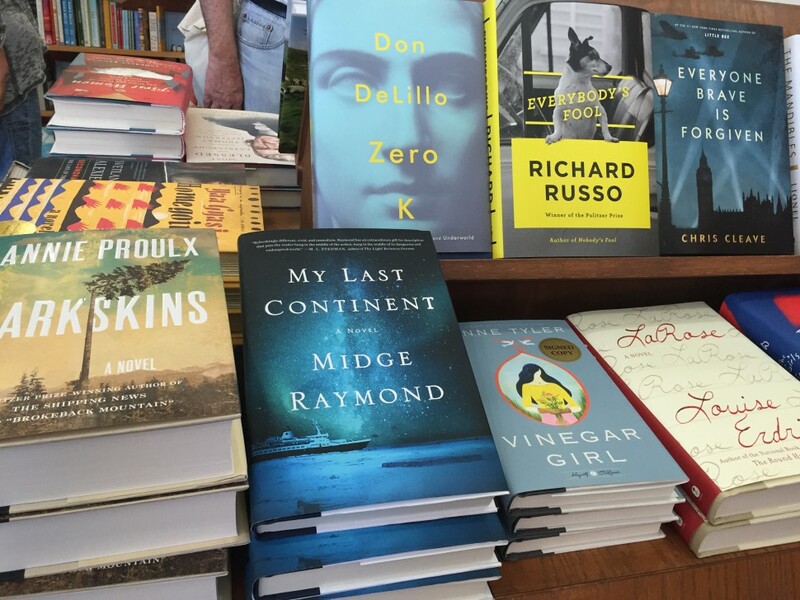 July 28 – Pub day! 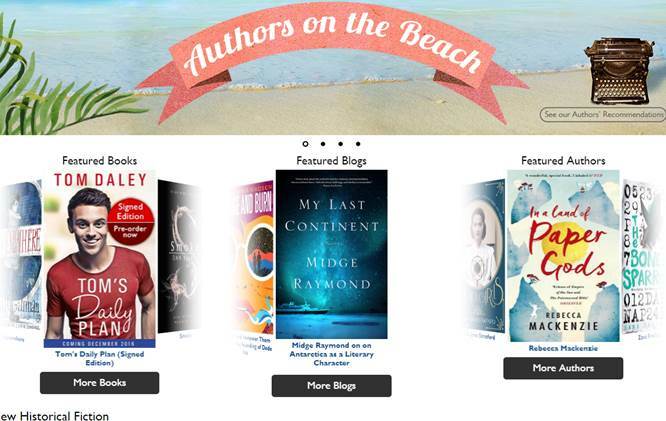 Featuring posts at Foyle’s and Female First … and a pick as July Debut of the Month! Join me tonight at Warwick’s! 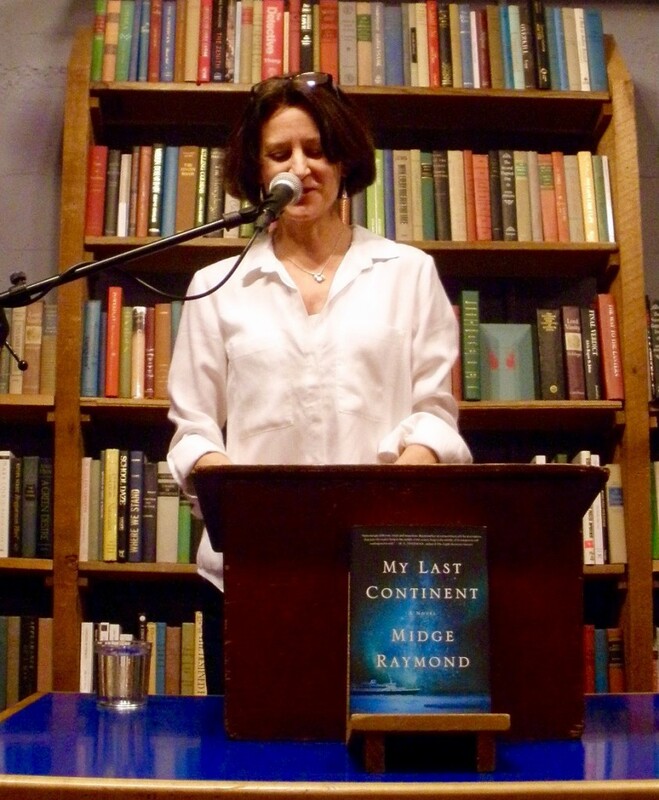 I am delighted to be reading tonight at Warwick’s in La Jolla, at 7:30 p.m.
To pre-order a copy of MY LAST CONTINENT and to reserve a seat at the reading, please call 858-454-0347, or visit Warwick’s online for more information. Two workshops at San Diego Writers, Ink! I’m looking forward to teaching two workshops at San Diego Writers, Ink on Saturday, July 23, and I hope you’ll join me! 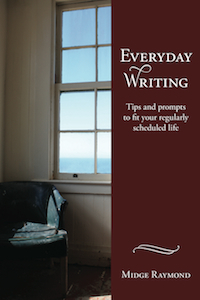 The morning workshop, Say Anything: How to Write Great Dialogue, is from 10 a.m. to 12 noon. From portraying character to moving the plot forward, dialogue works hard in any story. In this hands-on workshop, we’ll study examples of good dialogue and discuss how and why these work, and we’ll go over tips for how to create your own authentic, realistic voices, with writing exercises that will reinforce the major tenets of effective dialogue. In the afternoon, join me for Looking Beyond the Web: Research Tips and Tools for Writers, from 1 to 3 p.m. Whether you’re mining your past for a memoir or researching a new subject for a novel, the amount and quality of information you gather makes all the difference. In this workshop, we’ll discuss the importance of going beyond surfing the web, as well as the best ways to tackle research, including making contact, shadowing subjects, and conducting interviews. For more details and to register, visit San Diego Writers, Ink. Writers are welcome to attend either workshop, and there’s a discount for taking both! I am delighted to be speaking at the Tierrasanta Talks Adventure tonight at 6:15 p.m. This event, by the fabulous Adventures by the Book, is $10 and supports the Tierrasanta Village of San Diego — a nonprofit, grassroots membership organization that enables its members to age in place in a caring community setting — which will receive a portion of tonight’s proceeds. 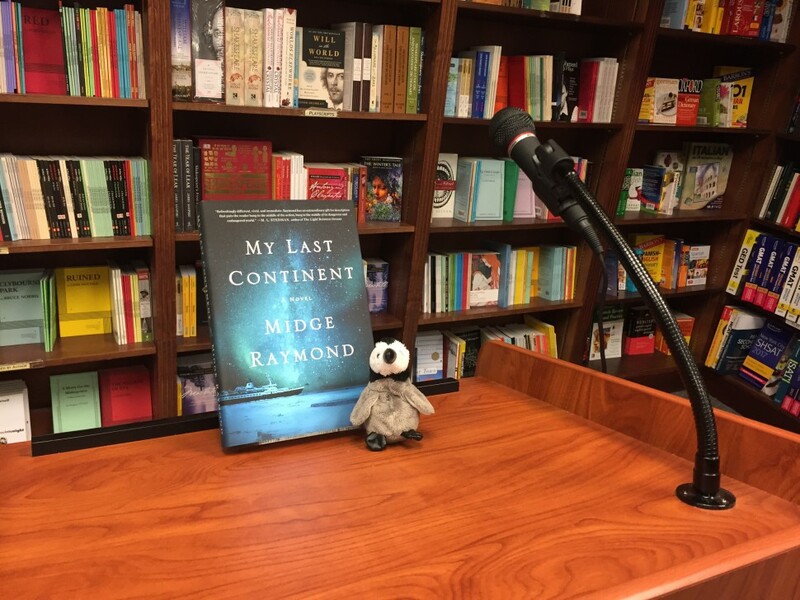 Join us for drinks at 6:15, followed by a reading and discussion of My Last Continent — as well as all things Antarctic and penguin! 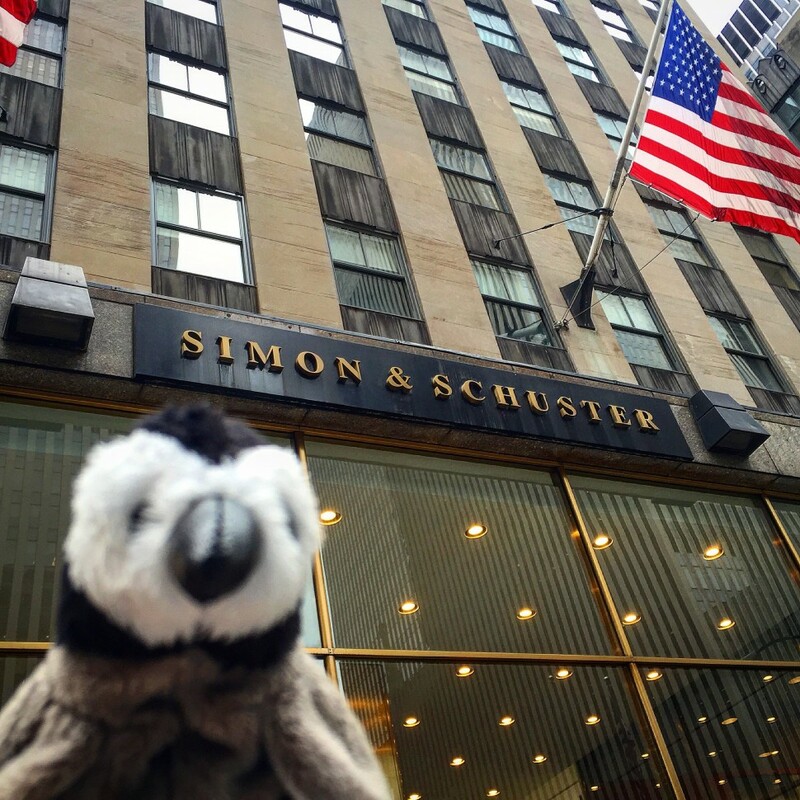 — and then stay for a screening of the Academy Award-winning film March of the Penguins. I look forward to seeing you there! 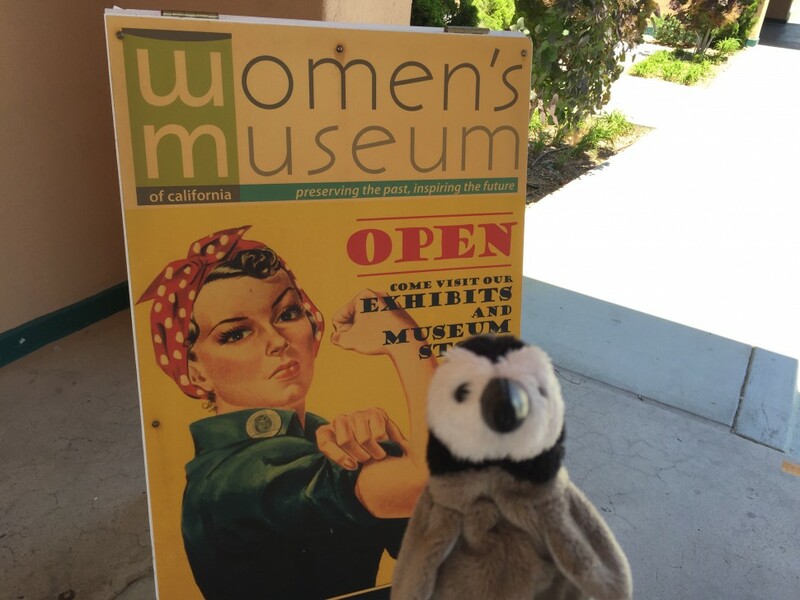 Join me at the Women’s Museum of California on July 10! Join me on Sunday, July 10, at 4 p.m. for a the Women’s Museum of California’s Second Sunday Author Series: Women’s Voices, Women’s Stories. I am delighted to be part of this fabulous series, curated by Wild Women, Wild Voices author Judy Reeves and supported by San Diego Writers Ink and Point Loma Tea. 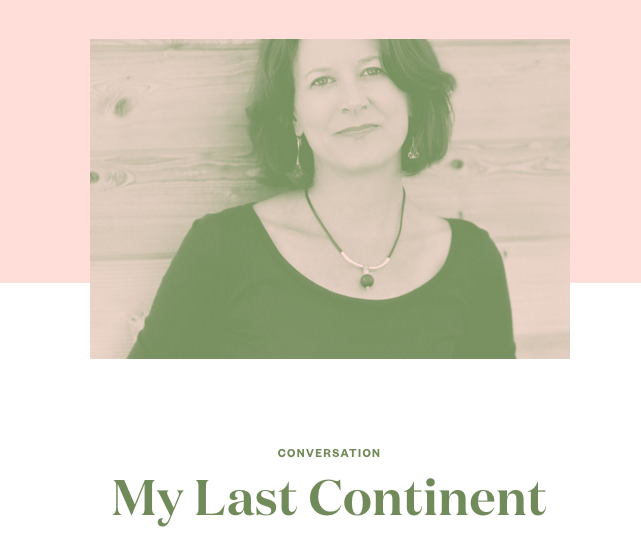 And I am looking forward to an afternoon talking about My Last Continent, as well as women in science, women artists and writers, and so much more! Click here to RSVP – I look forward to seeing you there! 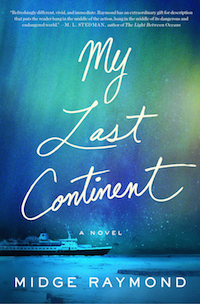 The first two weeks of the My Last Continent book tour have been incredible — it was such fun to visit Boston, New York, Portland, and Seattle, as well as to celebrate here in Ashland. 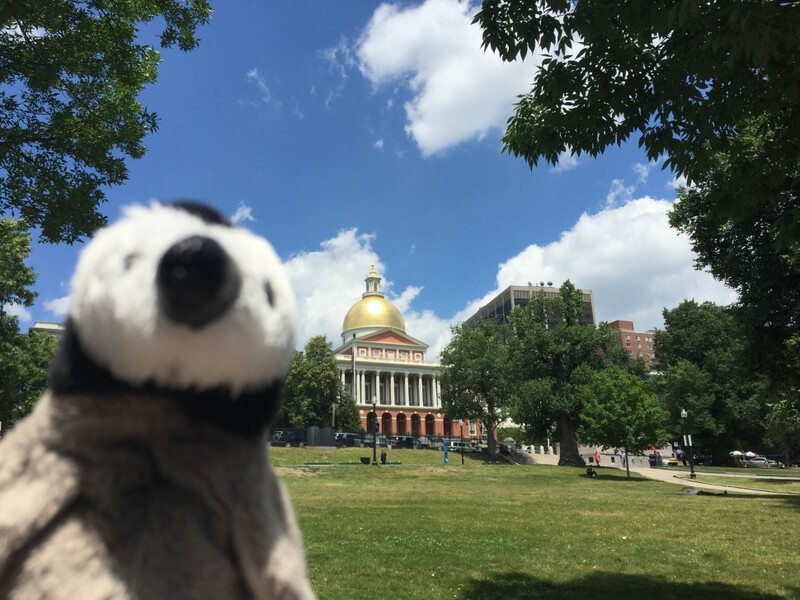 As many of you know, my travel companion is Admiral Byrd (those of you who have read My Last Continent will know why he’s so named), and he’s the one who’s been photobombing all my book tour photos. 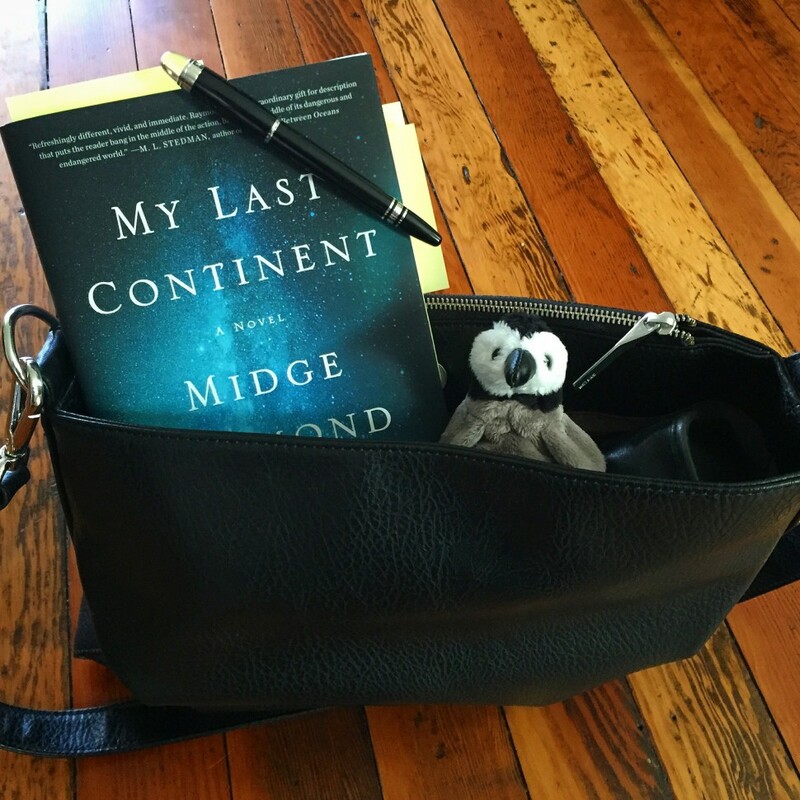 The most frequent comment I get when people see Admiral Byrd in person is, “I thought he was so much bigger.” In fact, he’s a tiny little thing, given to me by a dear friend just before My Last Continent was published. It seemed so fitting that he should join me on the tour. I’m heading to Southern California soon for another month of events (check them out here! ), and in the meantime, here are a few scenes from the past couple of weeks. 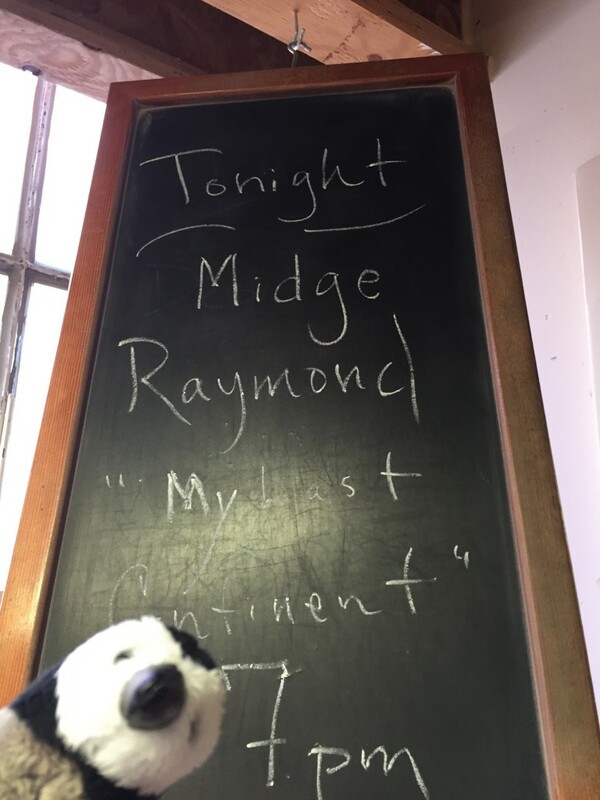 Join me on Facebook, Instagram, and/or Twitter to follow Admiral Byrd’s (and my) adventures as the tour continues! 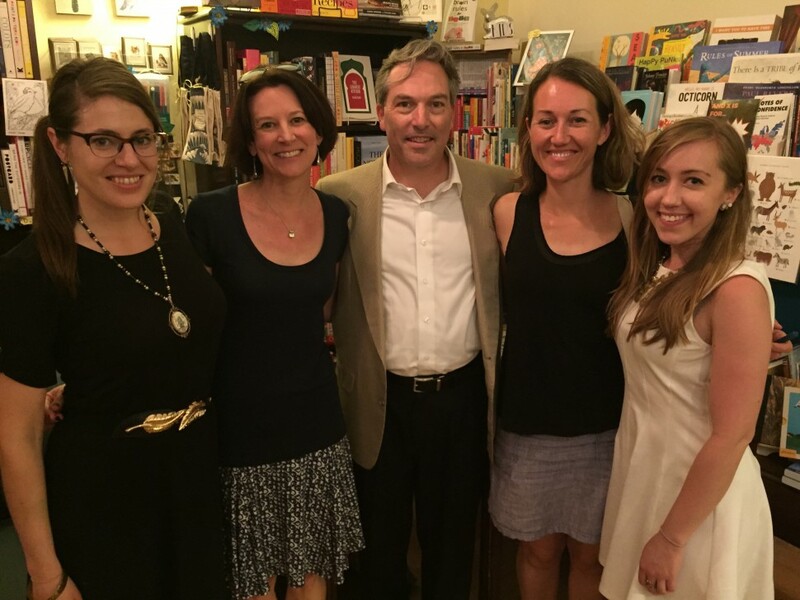 Below: Admiral Byrd in the city of Boston and at Papercuts J.P., for a fabulous event with Mark Beauregard and Rachel Richardson…. Seattle: See you tonight at Elliott Bay! 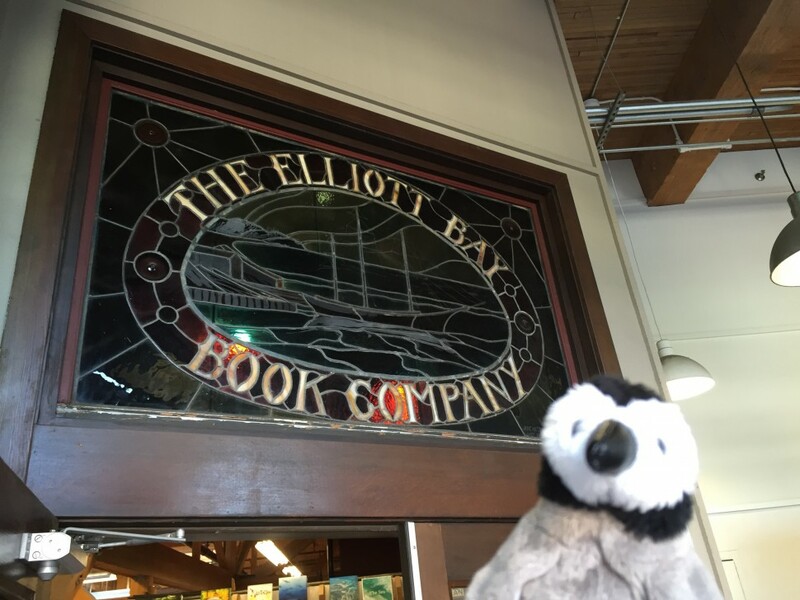 I was so privileged to have read at Elliott Bay Book Company years ago, when Forgetting English was published, in its former location in Pioneer Square. 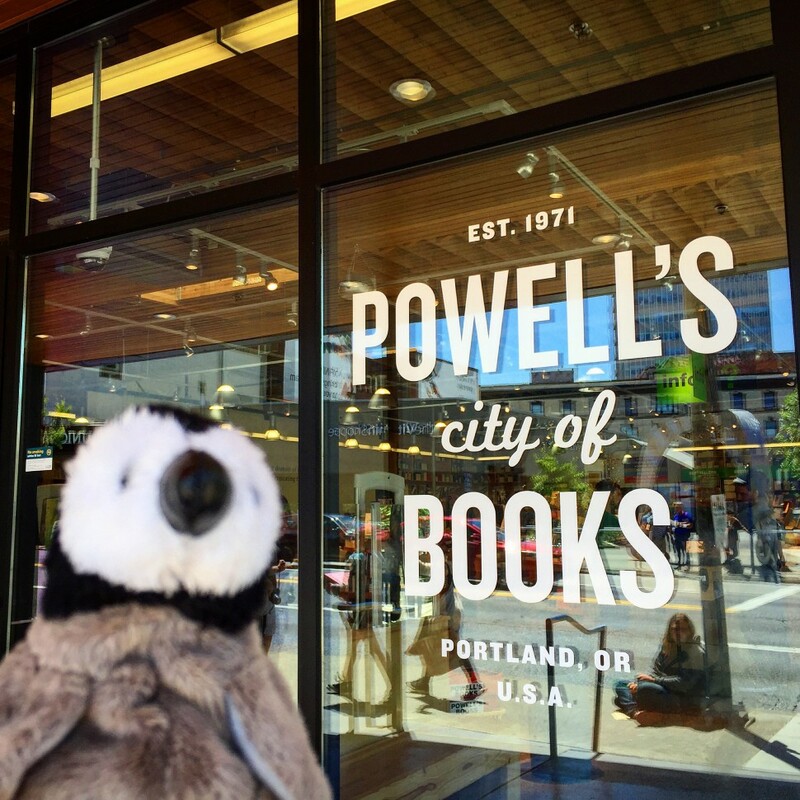 Elliott Bay’s new Capitol Hill location is different in appearance, yet the spirit of this incredible store and its dedicated booksellers remains. I look forward to seeing you all tonight at 7 p.m.! 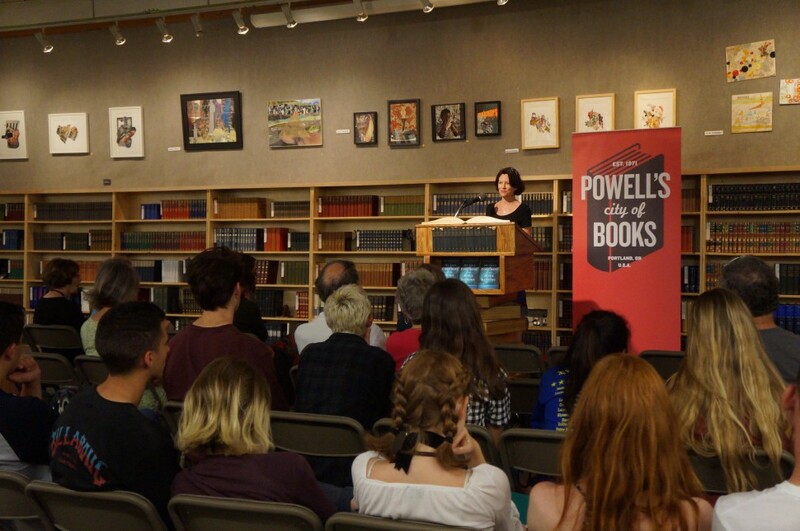 I’m so looking forward to being at Powell’s City of Books in Portland at 7:30 tonight! 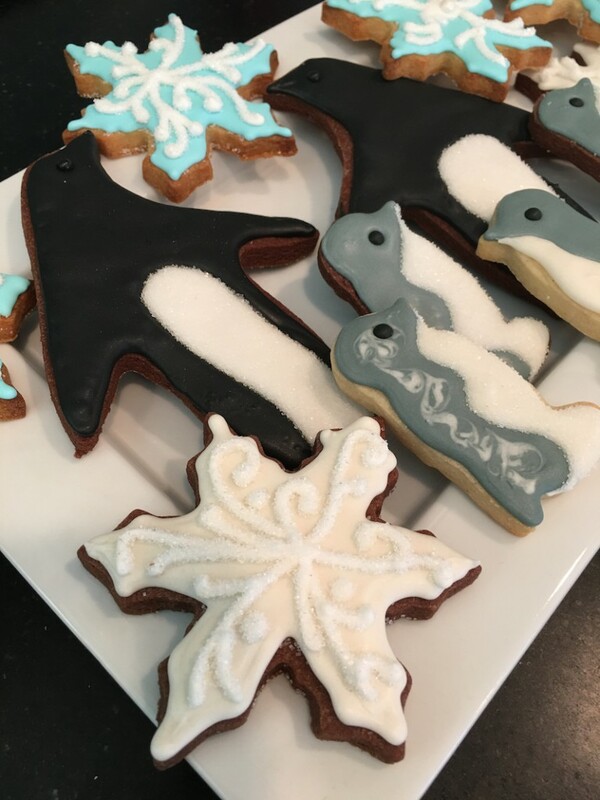 Thanks to the amazing Kat von Cupcake, I’m traveling with these sweet cookies, enjoying a lovely sugar high, and so this evening promises to be one of high energy. 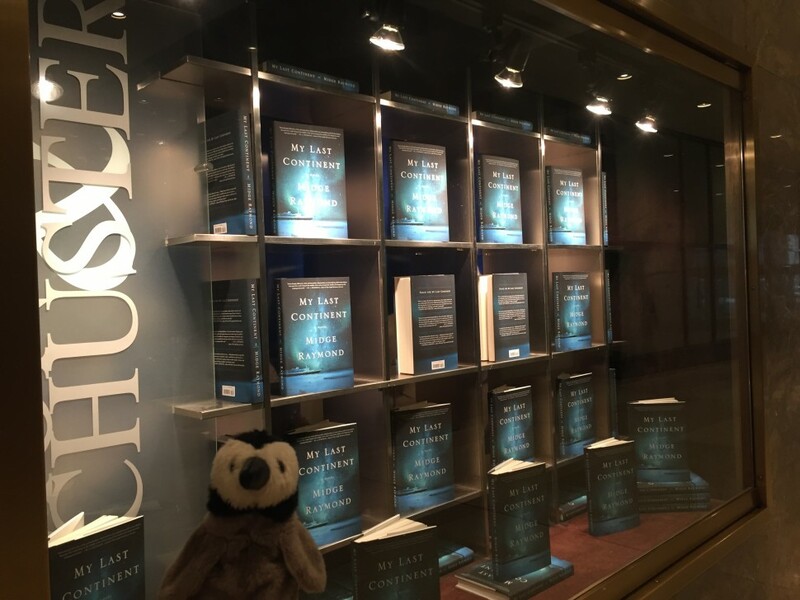 Join me at Bloomsbury Books tonight! 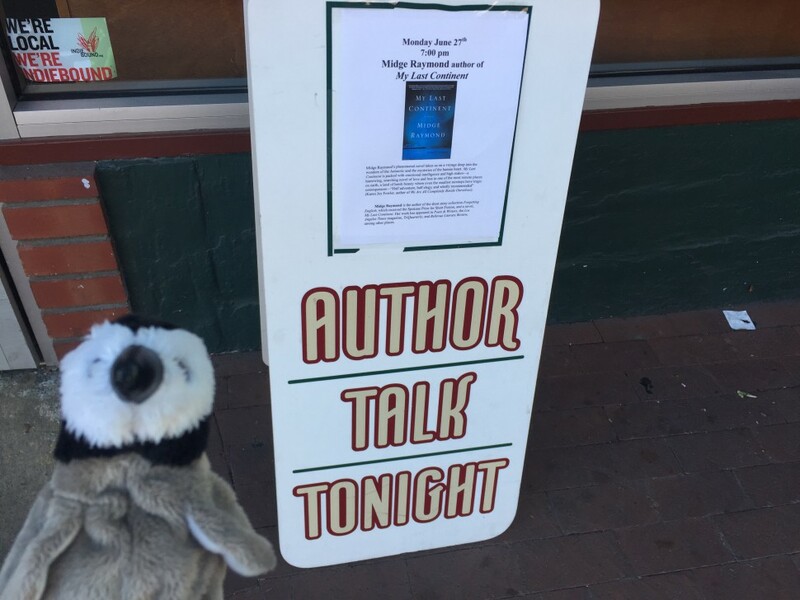 I’m so excited for my hometown book event in Ashland tonight at 7 p.m. at the lovely Bloomsbury Books. 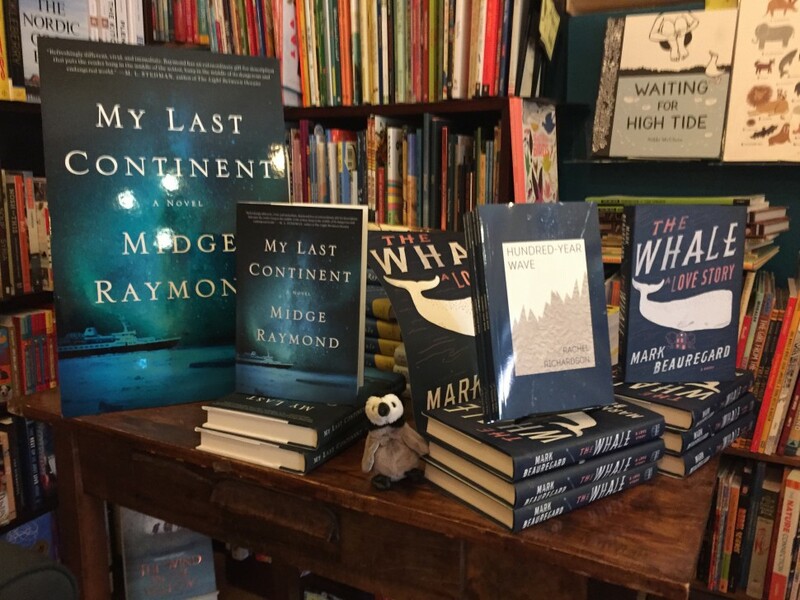 It’s great fun to see My Last Continent in such good company here at the store … and with the temperatures reaching for 90+ degrees today, I’m looking forward to an evening of ice and penguins and all things Antarctic!